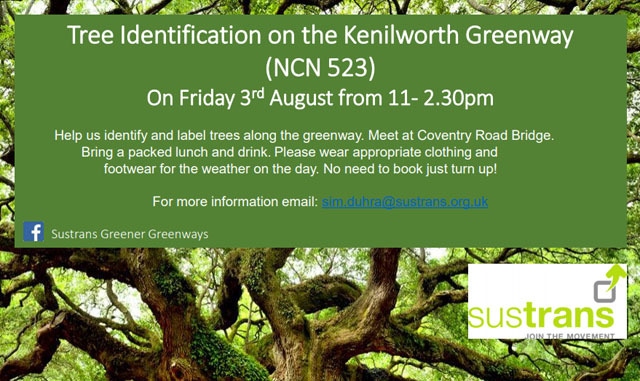 tree identification workshop on the Kenilworth Greenway. Come along and help to identify and label the trees along the Greenway. Bring a packed lunch and drink. Please wear appropriate clothing and footwear for the weather. It should be a nice day. there is now a Clothing Bank which takes curtains etc. and paired shoes.